With their season on the line, Tacoma Narrows came back from a 5-1 deficit in the second quarter and an 8-5 deficit in the third to take a 10-9 win over the Oly-Pen Force. Their win, coupled with Snohomish’s loss, jumped Narrows from 5th place to 3rd place and clinched their first playoff spot in their first season. George Bundy started the scoring for the Force and Jaisen Zurfluh scored twice in building a four goal cushion with 12:59 left in the second quarter. But Narrows started chipping away with three goals in just over two minutes. Tim Jewett started it off with 6:19 left in the second and then Kasey Sidor scored twice to make it a 5-4 game at the half. Matt Eronemo scored twice and Zurfluh scored his third for the Force in a third quarter that saw them take an 8-5 lead. But Narrows went on a four goal run, capped off by Alex Vogt’s go ahead goal, 9-8, with 8:46 to play. The Force answered when David Meherg tied the game with 5:20 left. But Vogt and Narrows answered with the game winning goal with just 2:54 left to play and Tacoma held on for the 10-9 win. For their effort, Tacoma (4-6-0) earned a trip to Bellingham next weekend to face the #2 seed Bellingham United. Oly-Pen’s season comes to an end with a 3-6-1 record. The Tacoma Stars Reserves exploded for eight goals including seven goals over the last five minutes to stay undefeated in the regular season with an 11-4 win over the Snohomish Skyhawks. The Skyhawks opened the scoring just two minutes on a Tye Hasting strike. But then the Stars Reserves responded and looked to be off to the races, scoring three times in just over a minute to make it 3-1 with 7:37 left in the first quarter. But that would be it for the scoring in the first half for Tacoma, and Snohomish added one goal in the second, and the two teams went to the break separated by just one goal, 3-2. Jeff Bader provided the only scoring in the third quarter, giving Tacoma a 4-2 lead heading into the fourth. Danny Graham’s goal with 12 minutes to play cut the Stars Reserves lead to just one, 4-3. 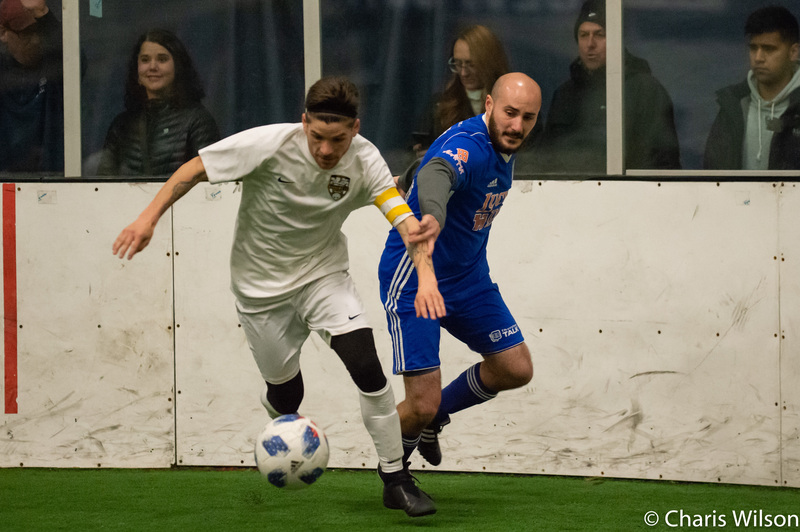 From there, the Stars Reserves outscored the Skyhawks 8-1 including two goals by JJ Schmeck and two goals in the final minute by Beau Macaluso that gave Tacoma the 11-4 victory. The win moved Tacoma to 10-0-0 and they will host the #4 seed Skyhawks next Saturday in the WISL semifinals. Oly Town goalkeeper JJ Olson made 26 saves in his return from injury, but Bellingham rallied for three goals in the fourth quarter including the game winner by Connor Moe with 17.5 seconds left to take a 5-4 road victory. The Artesians built a 4-1 lead at halftime behind David Cook’s two goals and a brother-to-brother goal by Nate Boatright from Eli Boatright. Richard Henderson scored his 17th goal of the season in the second quarter and the Hammers would add a power play goal by Christian Caro in the third quarter, but Oly Town took a 4-2 lead into the fourth quarter. Caro scored his second power play goal of the game with 6:51 left to make it a one goal game. Then, after pulling goalkeeper Ike Onyeador for a sixth attacker, Nick Cashmere tied the game, 4-4, with 2:15 left. 30 seconds later, the Hammers were shown a blue card that put the Artesians a man up. But off of a long rebound on an Artesians shot, United turned and had a break and found Moe, who slotted one low and past Olson for the game winner with 17.5 seconds left. With the win, Bellingham improved to 8-2-0 this season and will host Tacoma Narrows next Saturday in the WISL semifinals. The Artesians’ season came to an end with an 0-9-1 record.